Truck accidents on our nation’s interstates, highways, country roads, and city streets cause some of the most devastating losses — and can strike anytime. Load shifts, falling debris from truck beds, large blind spots, driver fatigue, excessive speed, tire blowouts, trailer disconnect, and maintenance lapses have all been named as causes of serious semi tractor trailer accidents. To arrange for an initial case evaluation after you or a family member has suffered serious injury in an 18 wheeler wreck, contact the law offices of Ronald L. Bell & Associates, P.C. in Libertyville, Illinois. 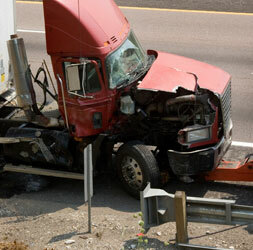 Lake County and North Shore Suburbs truck accident lawyer Ron Bell is well prepared to devote his advocacy skills to obtaining a successful outcome after you have been seriously injured in a semi tractor trailer accident. When he represents you after a truck accident, he will conduct a thorough investigation, including reviewing the driver’s log and researching his driving record. Mr. Bell will also communicate with your doctors in order to prepare a detailed account of your losses to take to negotiations or trial. To schedule a consultation with an experienced Illinois motor vehicle accident attorney regarding a car, motorcycle, or truck accident resulting in injury, contact Ronald L. Bell & Associates, P.C. 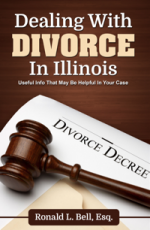 through this Web site or by phone at 1-847-495-6000.